What kind of events are permitted at Harmony Hall Estate? Any event may be hosted at Harmony Hall Estate. We specialize in weddings but have hosted and produced corporate galas, fund raisers, business meetings, birthday parties, Bar and Bat Mitzvah’s, holiday parties, lawn concerts, youth banquets and more. Can I have my wedding ceremony at Harmony Hall Estate? Most certainly! We offer a variety of wedding ceremony locations for your dream wedding day. With an onsite ceremony package you will also receive an additional hour for your wedding ceremony and an hour for your wedding ceremony rehearsal. White padded resin ceremony chairs are also included. Ceremony rehearsals will be scheduled based upon our availability, your rehearsal may not be the day before your wedding day. Is there an indoor ceremony site location in case of rain? Yes, you can use the ballroom as your ceremony site location, the outdoor lounge area or the farm house. Your indoor ceremony location will depend on your guest count. When you use Karen’s Catering, LLC we will always provide you with a detailed inclement weather plan. Tent rentals are also available for an additional charge. Do you include tables and chairs? Yes, whether you use Karen’s Catering, LLC or bring your own caterer we will provide you with tables and chairs for your event. We will set up and provide you with a computerized layout of the room. We have round, rectangular, tall and low café tables in a variety of sizes and our guest table chairs are comfy and sturdy. Our ceremony chairs are white padded resin chairs. Yes, Harmony Hall Estate is owned by Karen Taylor. Karen is also the owner of Karen’s Catering, LLC. Karen’s Catering, LLC has over 28 years event and wedding production experience. Karen and has owned Harmony Hall for 17 years and was the exclusive catering for another venue for 16 years. Karen’s Catering, LLC offers a full range of event planning services from menu packages, custom menu planning, scheduling of the day’s events, event décor, floral designs and bridal flowers, and more! You can pick from one of our wedding menu packages or we will gladly customize a menu for you. We offer served, stations, buffets, cocktail style menu options. Menu packages available to fit most budgets. Karen will gladly schedule a personalized wedding consultation for you and your family to discuss your wedding menu needs. Yes, you may bring in your own caterer. All caterers must be licensed and insured. What can my caterer expect? We have a fully equipped working commercial kitchen that consists of 2 gas convection ovens, 1 two door gas range, 1 gas grill, 3 warming units, walk-in cooler, walk in freezer, dishwasher, several carts, several bakers, 2 three bay sinks, 2 large prep areas and coffee maker with warmers. Included in our outside catering venue rental is the use of all prep areas, all sinks, dishwasher sprayer, carts and cooler/freezer space. Use of the stove, grill, dishwasher, warmers, and coffee maker are available for an additional cost. We also offer linen rentals, décor elements, wedding coordinators and service staffing if needed. Venue access for outside catering is 9:00am – 10:00pm. Our capacity varies depending on the use of our venue. The grand ballroom can hold up to 300 for a seated meal. We have hosted events for as few as 50 and as many as 1500. The farm house has a capacity of 60+ but can be used for up to 300 guest when using both the first floor, porch and lawn areas. How long can I use Harmony Hall Estate for my reception? The average wedding and ceremony is 6 hours with 1 hour for your ceremony and 5 hours for your reception. With a reception only the average time is 5 hours for the reception. Time starts when guests arrive. You may access Harmony Hall Estate as early as 9:00am for outside caterers to set up ballroom. The time allowed will be based upon your wedding day event schedule. Can I add additional time for the ceremony/reception? Yes, additional time may be added if needed for your ceremony and/or reception, call for details. What time can I access Harmony Hall Estate? You will not need to do anything if you use Karen’s Catering, LLC. We will set up everything for you! With onsite ceremonies you may access Harmony Hall Estate to do hair & make-up, dress etc and take photos earlier than your wedding vendors. Each couple is unique and has different needs; we will gladly make arrangements for you as needed. Most bridal parties arrive at 9:00AM or later depending on the start time of the ceremony . With the use of Karen’s Catering, LLC your wedding vendors such as your DJ, baker etc may access the venue 2 hours prior to guest arrival to set up. We will gladly make other arrangements for your vendors as needed. You and your caterer will have 1.0 hour after your event ends to tear down and clean up. With the use of Karen’s Catering, LLC your event must end by 10:00pm. With the use of an outside caterer your event must end by 10:00pm. How many events do you host in a day? One wedding per day. You have exclusive use of the venue for the day. We do not allow site visits during your event! We may show the property to potential brides before your guest arrive. Yes, not only do we have a preferred vendors list but we also have house vendors that will offer you discounts for choosing to use their services at Harmony Hall Estate. Save, save, save..when you use our house vendors! We do not receive nor do we ask for any monetary remuneration from any vendor on our list! Our house vendor list is to help you plan the perfect event with as little stress as possible. Do I have to use the vendors on your house or preferred vendors list? No, you do not have to use any vendors on our list. You are free to use any vendor you wish as long as they are insured. 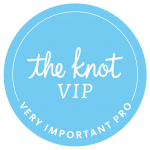 Each vendor will need to provide us with a certificate of insurance one month prior to your event. Call for insurance requirements and details. 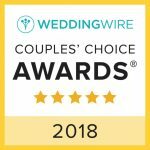 Do you have event/wedding coordinators? Yes, whether you use Karen’s Catering, LLC or bring in your own caterer you may hire one of our in house wedding coordinators for your event. Prices vary depending on the services you require. If you use Karen’s Catering, LLC a wedding coordinator is included in your package. If you bring in your own caterer, concierge services will be provided to assist you and your caterer with any questions or concerns you have on the day of your event. 27 years in the event/wedding industry and provide you with 20 + hours of wedding planning meetings to help you navigate through your food and beverage selections, timing and décor needs. The day of your event you will have an onsite event manager to help oversee the day’s activities, experienced event service staff and a dedicated head table server. We do encourage you to use Karen’s Catering, LLC wedding ceremony coordinators to assist you and your bridal party during the rehearsal, to get down the isle, make sure everyone is in the right processional order, the bridal party is walking down the isle properly, the groomsmen are standing in the correct location, the parents are seated in the proper seats, to take any belongings to the Grand Ballroom, bring flowers into the Grand Ballroom etc. Do I need to take my trash with me? Can I have outdoor music? Yes, you may have indoor and outdoor music. All outdoor music must end by 9:00pm. Do you offer discounts for Friday’s, Sunday’s and non prime months? No, since we offer FREE venue rental we do not offer additional catering discounts. No, you may not bring your own alcohol. There is never a need to lug cases and cases of alcohol to Harmony Hall on your wedding day. We are fully licensed by the PLCB with liquor liability insurance and RAMP certified staff. We offer a full range of bar service to accommodate your needs and budget (Cash, hosting, consumption, tab or any combination you prefer). Karen will gladly schedule a personalized wedding consultation for you and your family to discuss your bar needs. Do I have to set up? No, if you use Karen’s Catering, LLC you do NOT have to set up, we will do everything for you. We ask that you bring your items to us on a pre-scheduled date and time so that we can make sure you have everything you need and we can set up as per your wishes. If you use an outside caterer you may need to set up depending on your caterer. When using an outside caterer you will be permitted to access the venue at 9:00am the day of your event to set up. All décor elements brought onto the property must be pre-approved. No items may be placed on the walls, chandeliers, wall sconces etc. We will be glad to assist you with any placement of items that may require the use of a ladder or scaffolding (additional charges may apply). Can I leave any items at Harmony Hall Estate and pick them up the next day? No, unfortunately we cannot store your items for you. All items you bring to Harmony Hall must be removed at the end of your event. You and/or your caterer will have 1 hours after the end of your event to remove your items. Do I need to tear down and repack all my wedding accessories? Harmony Hall Estate for your wedding day. We will provide you with carts to make transporting your wedding accessories and gifts to your vehicle easier. We will not touch your gifts or card box. We have a back entrance to make loading/unloading easier for you. You will need to load your own vehicles. If you use and outside caterer it will be your responsibility and your caterers to tear down and repack any items you bring with you. When you use Karen’s Catering, LLC we do all the work for you, you just need to enjoy the day, we will clean up everything! If you use an outside caterer we ask that the caterer wipe up any spills immediately that may occur on the hardwood floors during your event to prevent any guest from slipping on wet floors. We also ask your caterer to keep the venue presentable and safe for you and your guest s. It is the caterer’s responsibility to clean up the kitchen area, empty trash cans in the kitchen and place trash in the dumpsters. We will provide your caterer with a closing check list. If you use an outside caterer we will be responsible to clean up the ballroom, bathrooms, farm house and grounds as per standard usage. Yes, candles are permitted but must be pre-approved. Are children permitted to attend my wedding ceremony & reception? Yes, of course children are permitted to attend your wedding ceremony & reception. Weddings are a family celebration and children are always welcome at Harmony Hall Estate. We do however, ask that children are supervised at all times. Does Karen’s Catering, LLC offer children’s meals at a discounted price? Yes, children’s meals are offered at a discounted price. See Karen’s Catering LLC All Inclusive Wedding Packages for menus and pricing. Only 1 Wedding Per Day!